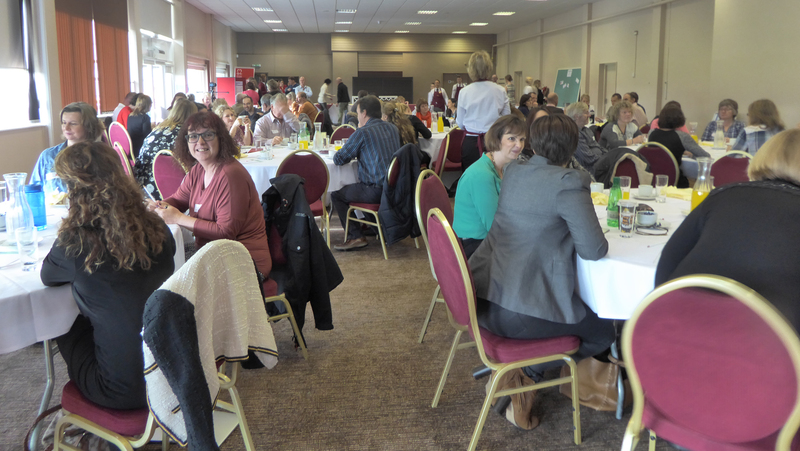 SCAD survivors, friends and family gathered for the first ever UK SCAD Conference on 7 November at Leicestershire Cricket Club. 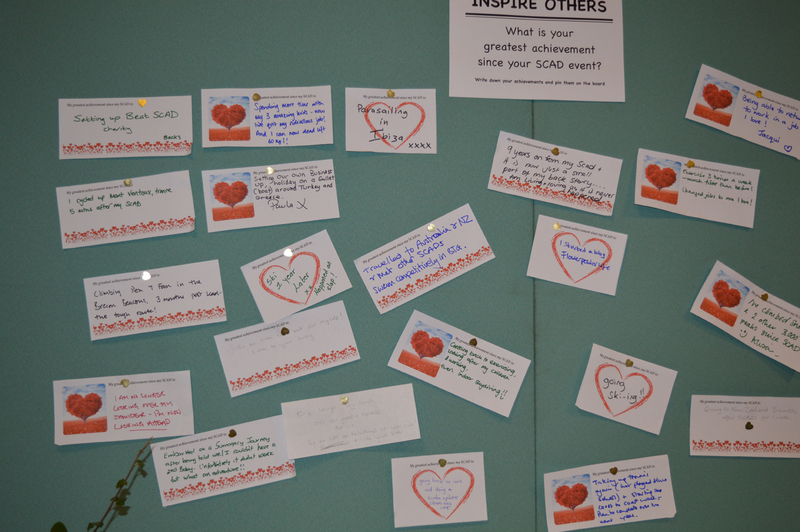 Setting a record for the most UK SCAD survivors in one place, 49 of the 88 delegates have suffered a spontaneous coronary artery dissection and many were told they’d never meet another SCAD survivor because the condition is so rare. 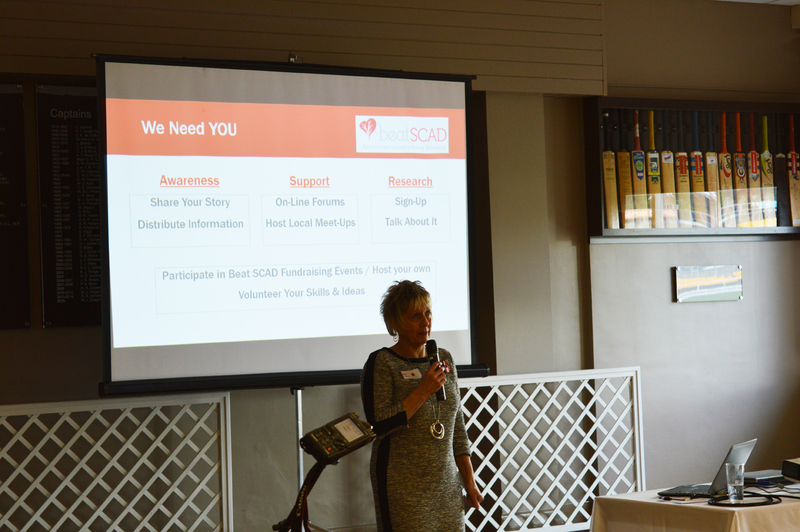 Dr David Adlam and Dr Abtehale Al-Hussaini, who are leading the SCAD research project at the Leicester Cardiovascular Biomedical Research Unit, gave very informative and detailed presentations covering the condition and early findings from the research. 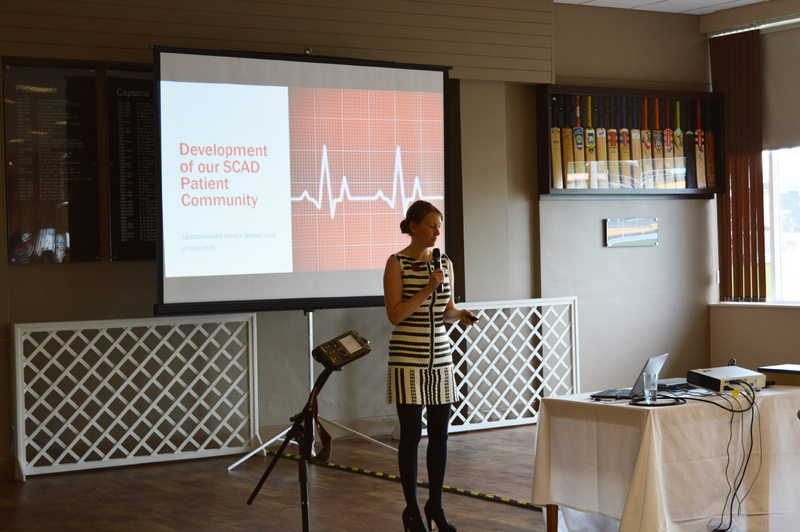 Dr Adlam discussed a range of topics from diagnosing SCAD and raising awareness among cardiologists and other medical professionals, to treatments and the pros and cons of different heart medication for SCAD patients. 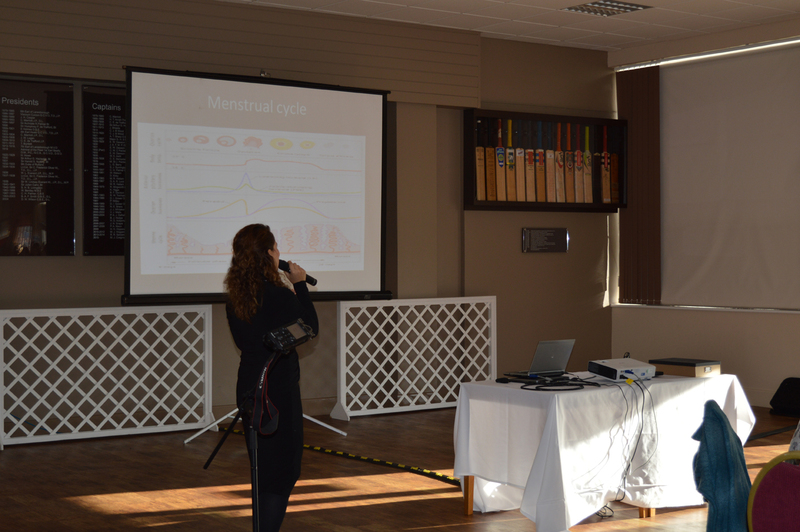 Dr Abtehale Al-Hussaini gave an update on the research project. 50 of the 100 patients for which funding is available have been through a range of tests. 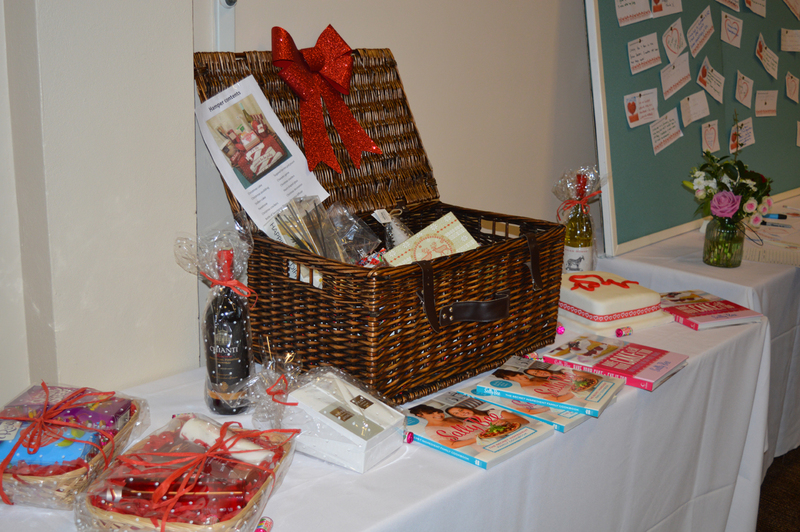 Nearly 330 patients have registered so far and additional funding is required to extend the project. She outlined what the patient research day entails, from arm and neck ultrasounds, to hypermobility tests and MRI scans. Sally Bee, SCAD survivor and nutritionist and chef on ITV’s Lorraine show gave an inspiring talk about her experience and some invaluable advice to those who have had their SCADs recently. 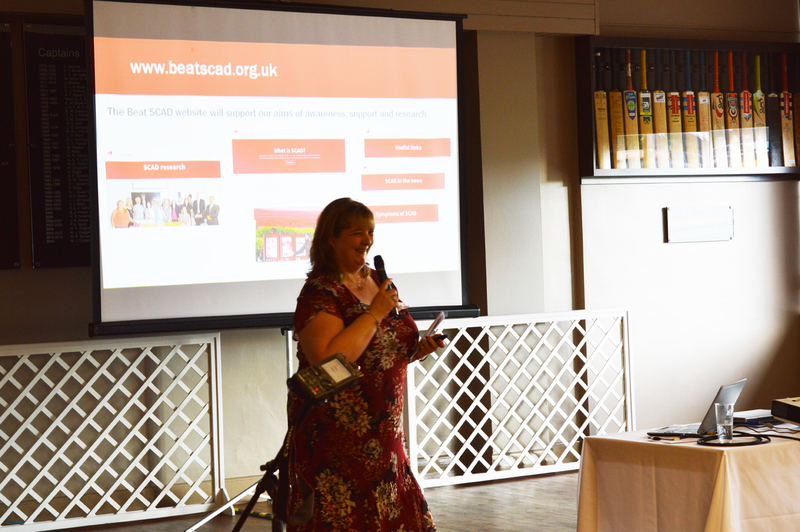 Delegates had the opportunity to discuss how the Beat SCAD charity, launched at the conference, could help provide support both for survivors and family and friends. 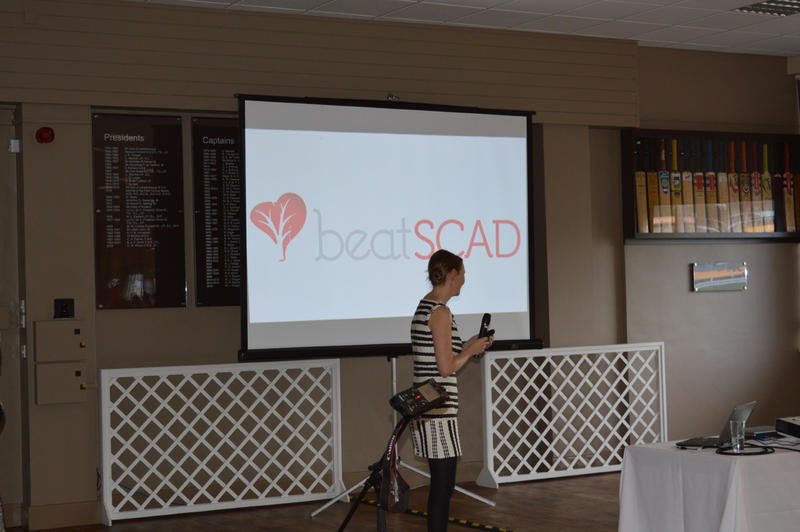 “I’m extremely happy, proud – and relieved – that our first SCAD Conference was such a success,” said Rebecca Breslin, Chair of Beat SCAD. 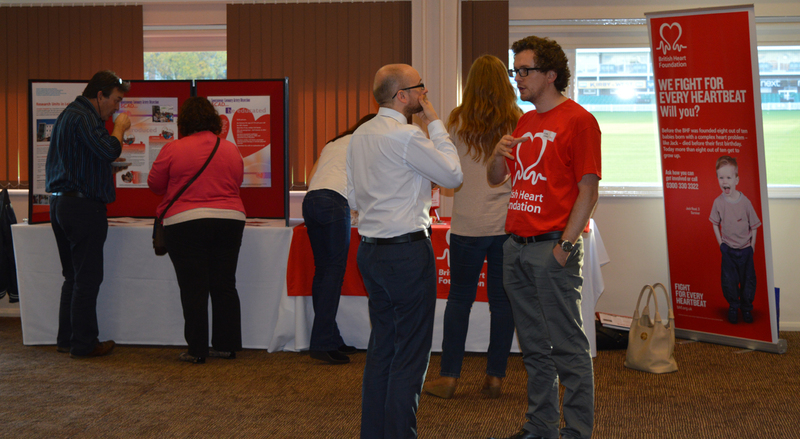 Sophie Jardine, Carl Jones and Ben Kolb from the British Heart Foundation, which provides funding for the research, and Emma Beeston from the Leicester BRU exhibited at the event and giving delegates an opportunity to find out more about the organisations. Also at the event was Dr Claire Butler from the National Institute for Health Research Rare Diseases Translational Research Collaboration, which also funds the research. 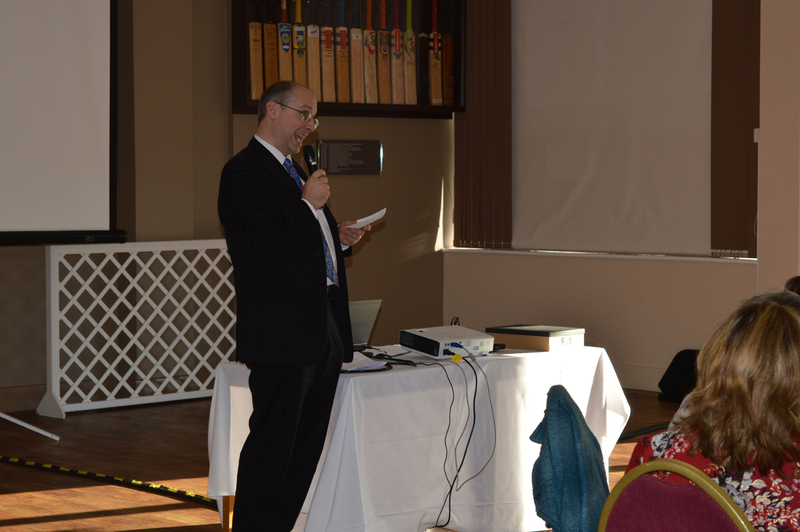 Beat SCAD would like to thank Leicestershire Cricket Club for the fantastic venue and their staff for looking after us so well; ADLS Productions for filming the day’s events and all the speakers and delegates who made the day such a success. 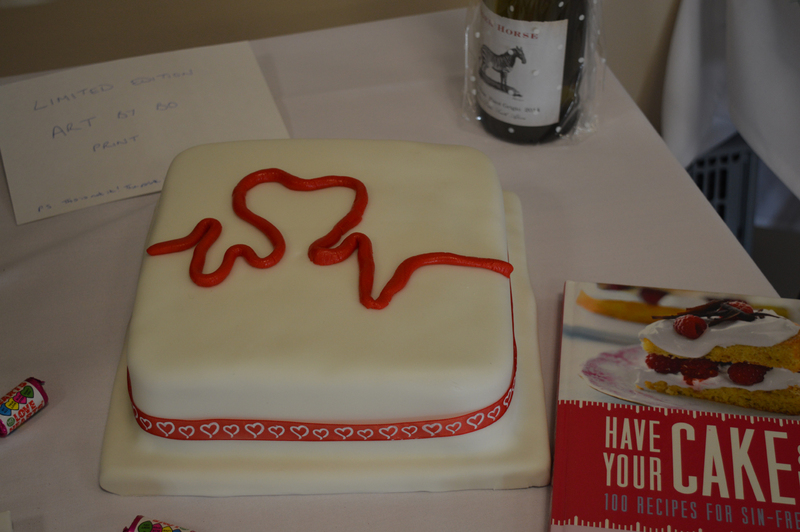 Beat SCAD, a UK charity that aims to support those who have been diagnosed with Spontaneous Coronary Artery Dissection, was launched on 7 November 2015. 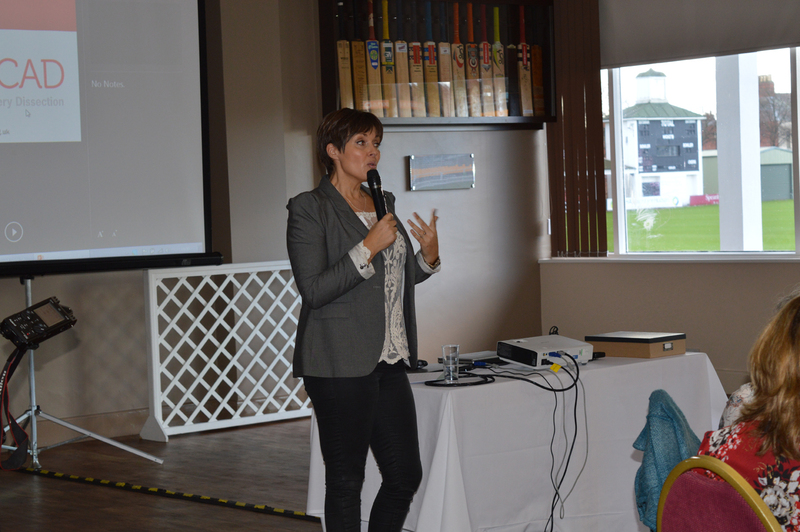 The launch took place during the first ever conference for UK SCAD survivors held at Leicestershire County Cricket Club. Spontaneous Coronary Artery Dissection (SCAD) is a rare and under-diagnosed heart condition that affects people with few or none of the normal risk factors for heart disease. SCAD occurs when a tear or bruise develops in a coronary artery and restricts or prevents blood flow in the heart. It cannot be predicted or prevented and the cause is unknown. Many SCAD patients experience delayed diagnosis, a lack of information about the condition, as well as confusion and depression at being unable to get answers. 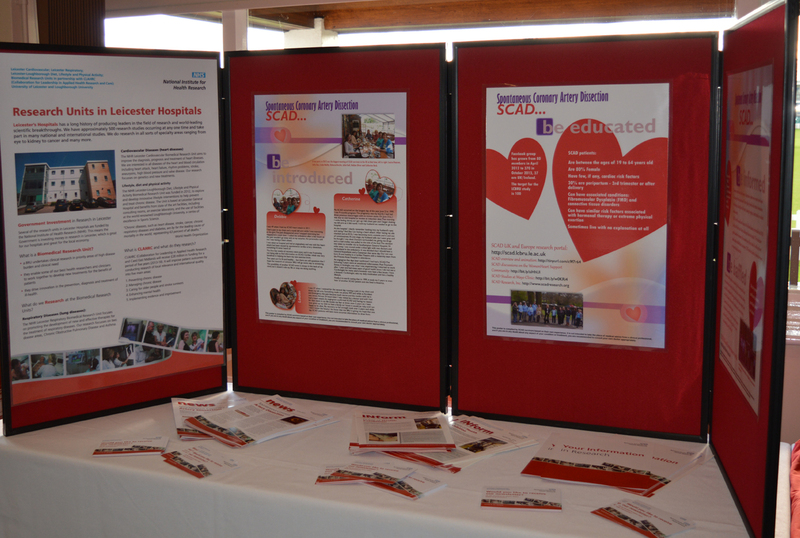 Often patients know more about SCAD than the medical staff treating them. Promote and raise funds for research. 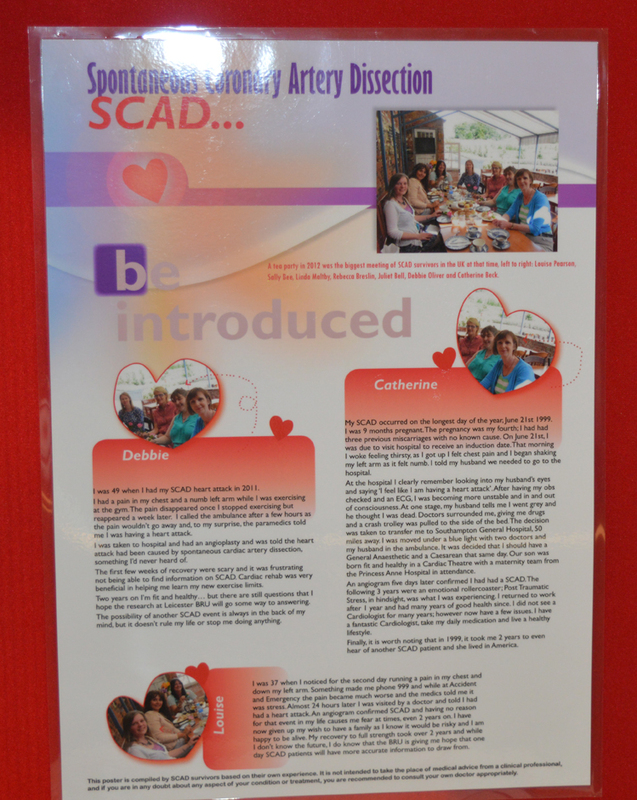 Beat SCAD was established by SCAD survivors Rebecca Breslin (Chair), Karen Rockell (Secretary) and Debbie Oliver. Jackie Stopyra is Treasurer. “When I had a heart attack caused by SCAD in March 2012 I was a fit and healthy 34-year-old. I had no concerns about my health, especially my heart. Nobody could tell me why my SCAD happened or if it would happen again. I was frightened and felt very isolated. I had survived but I was scared to live,” said Rebecca Breslin. 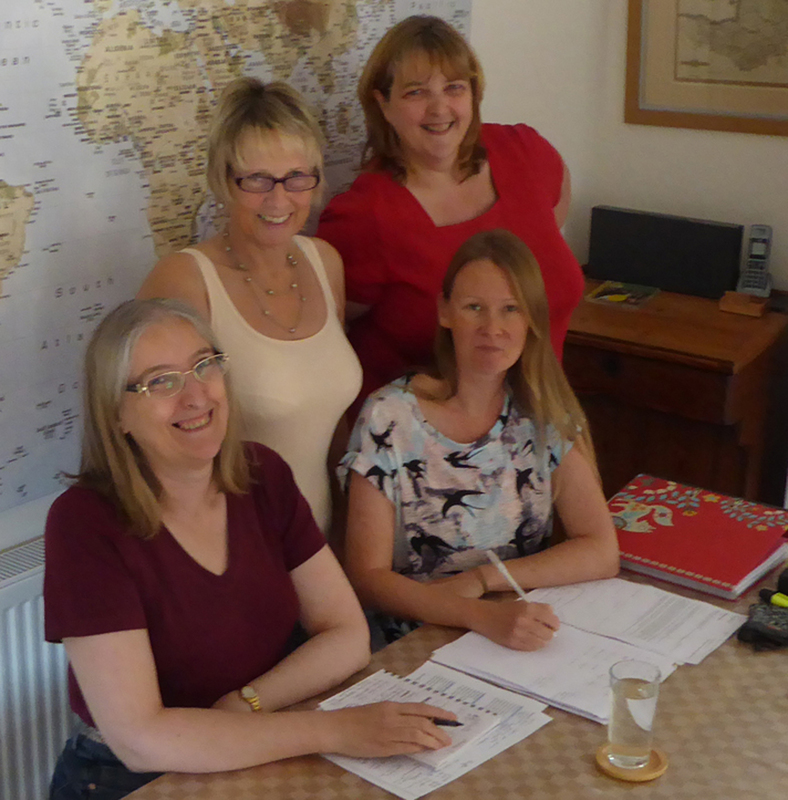 Pictured above (l to r) Jackie Stopyra (Treasurer), Karen Rockell (Secretary), Rebecca Breslin (Chair) and Debbie Oliver (Trustee).